This can be driven by costs, time and a lack of understanding of the value of a website. It becomes that “thing you do” – like getting business cards, and maybe a letterhead. The faster and cheaper you do it, the better. Yet you end up missing out on some of the most powerful opportunities to attract and retain customers. Now, I am not talking about the huge amounts of the fancy, icon-dancing, music-playing websites that bombard those attempting to access it. I am talking about a website that becomes your best employee – working 24×7 without a break, during holidays even – and no complaints. A website that can train and support your customers, saving you time and money in customer support. A website that gives the information that the customer needs and prompts them to make that phone call to book an appointment or place an order. 1. Update your website often. A website that is not updated regularly is missing important information for potential customers and will slowly fade away as Google and the other Search Engines look at that website as a “dead” website and push it farther down the results list. How to come up with content? Start with what you know. Additionally, collect websites, books, online articles that are relevant and use them to understand what topics are needed out there. Nothing worse than showing up to a website that is a wall of text. We read less than we should, but we are more likely to click on a video link. Use this to your advantage. Make video blogs and training videos. Remember: keep them short and to the point. They do not need to be professionally done, but they should still look professional. Connect your website to your Social Media sites. This is not just an icon and a link to Facebook etc. Get all your sites working together and supporting each other. Your Facebook page should be full of information and leading the viewer back to your website. Host your videos on your own YouTube Channel and link them back to the website. Make sure your logos and colouring scheme are the same between sites. Don’t just repeat info from the website on Facebook, but get them supporting each other with relevant, dynamic information. We find about 85% of website traffic is coming from a Search Engine. That means most potential customers are getting to your website because they have a question. In general, you have about 15 seconds to answer that question, or they will move on to the next site. 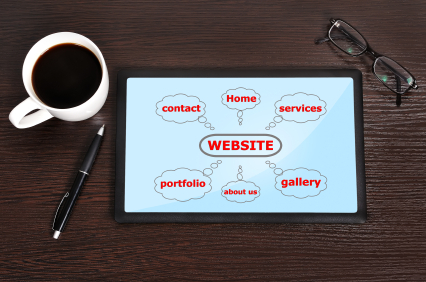 Making sure your website answers potential questions requires planning and constant reviewing as questions may change. This is where a professional web designer/digital marketer can make a difference. We have plenty more to say and will cover more in future posts, but you can start today by looking at your web site differently and seeing the potential it has to reach out and bring in new clients.